Tererai Obey Sithole has been arrested and detained by police several times for advocating for students rights at one of the country’s major learning institution, Midlands State University (MSU). That has not deterred the 23 year-old Sithole. The situation is tense. The government has stopped supporting students with study grants and this has severely hindered their right to quality education. Many university and college students in Zimbabwe are grappling with acute challenges characterized by high tuition fees, and lack of accommodation and books. 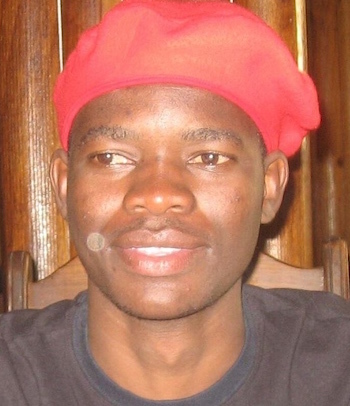 As Secretary-General of the Zimbabwe National Students Union, (ZINASU), a body that represents close to 100 000 students, Sithole has been highly active in campaigning for the rights of students in the country’s tertiary institutions since his election in 2013. The youthful student leader is focused on more than student rights. He’s also a member of the National Youth Alliance (NYA) a movement of 25,000 youths advocating for the political, economical and social participation of the country’s youth in shaping national issues. This can be dangerous work. Missing human rights activist Itai Dzamara, still missing for the past 9 months after being abducted by suspected state security agents, was also instrumental in the formation of NYA.